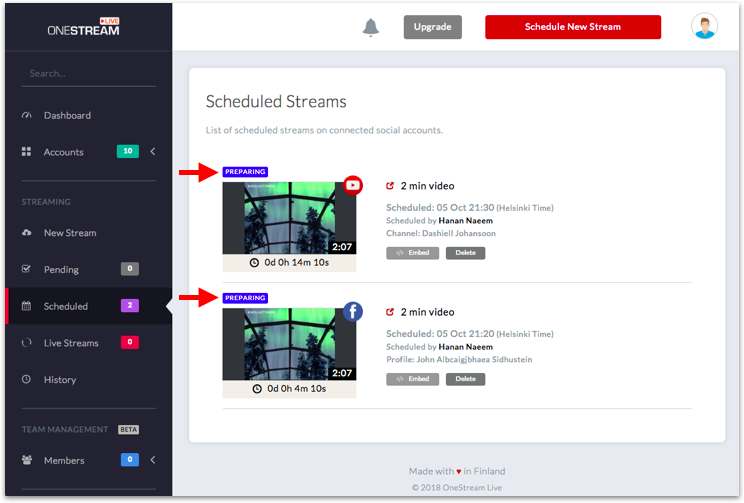 Event notification can be used to announce about your stream that will be live on a Facebook (Pages, Groups, Profiles) and YouTube Channels at the set time. 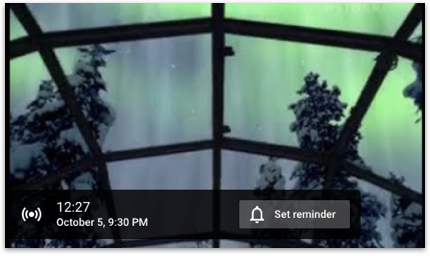 Stream should be scheduled to go live after at least 15 minutes from your current time. By default the announcement is made 15 minutes prior to going live. Event notification can be set from 15 min to 6 days prior to going live. 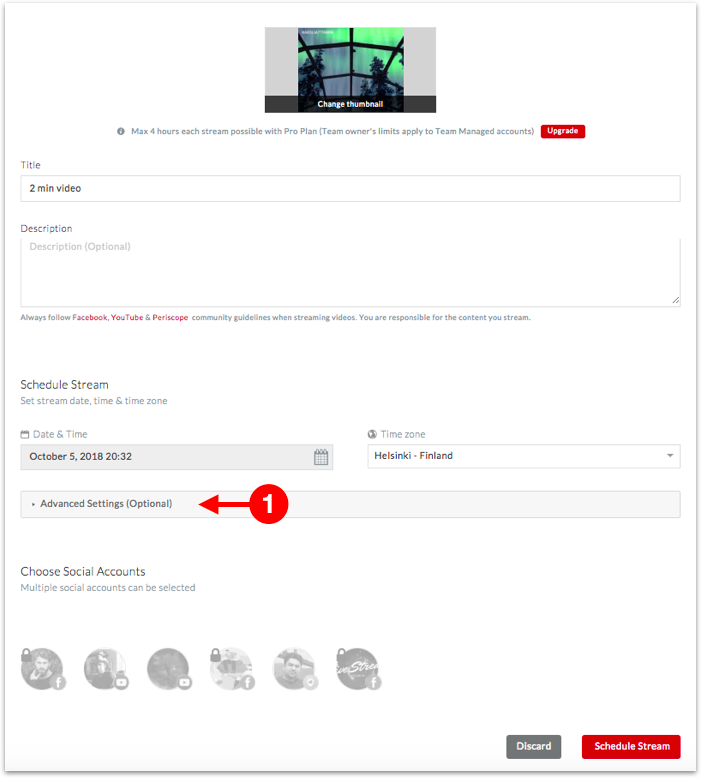 If your current time is 12 Oct 11:30 and you schedule a video to go live at 13 Oct 15:30 and event notification is set to 2 hours, then at 13 Oct 13:30 (2 hours before going live) an announcement is sent to your social account. 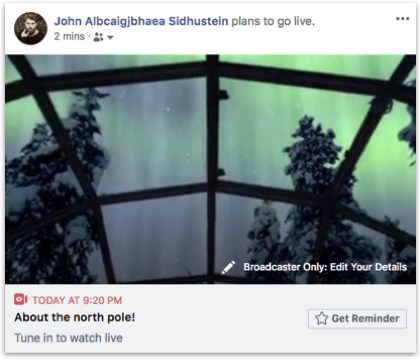 The annoucement lets your friends/followers on Facebook or YouTube know that you plan to go live at 15:30. 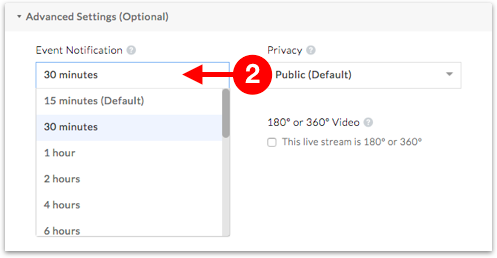 Choose how long (minutes, hours, days) before going live you want the event notification / announcement to be made on Facebook or YouTube. At the set time an announcement on Facebook and YouTube will be sent. Read more about States & Embed Code How to get embed code for a live stream? Once the announcement is made, the stream in the scheduled section will enter Preparing State. Stream link and embed code can be fetched in preparing state. This link can be shared, emailed, tweeted to anyone to invite to your live stream.